It costs more than we could possibly pay. Back when my kids were growing up, they'd watch the occasional Sesame Street cliffhanger. Little did we know that Kermit the Frog's signature lament, "It's Not Easy Bein' Green," would come to be the byword for our times. In "The price of cleanliness," the Economist wrote "China is torn between getting greener and getting richer." Mr. Obama's highfalutin' talk about growing the economy by creating high-paying "green jobs" not withstanding, both the Economist and the Chinese government recognize that there's an irreconcilable conflict between economic growth and "bein' green." That makes sense - if eco-friendly energy could be produced at lower cost than what we're doing now, businesses would already be doing it. The only way to get eco-friendly energy is by subsidies which raise taxes or by restricting current energy generation methodologies which raises costs. Either way, living standards go down, which is a hard sell indeed. The Taiyanggong Thermal Power Plant in north-east Beijing is delightfully green. Unlike most of China's smoke-belching power stations, it has such low emissions that luxury flats are being built next to it. They are fetching high prices. Owners will look out over something that looks more like a cluster of office buildings (apart from a couple of grey chimneys) than a power plant. The cooling towers, near a grove of date trees and an ornamental pool, look a bit like the Great Wall. The plant has two General Electric gas-fueled turbines. It produces half the emissions of a comparable coal-fired facility and its steam supplies heat to 1 million homes as well as to the American embassy in Beijing. Sounds ideal, right? Well, no. The plant was built during the "cost is no object" era in the run-up to the Olympic games. Now the party's over; the banners have been rolled up and put away, and the plant's owners have the problem of making electricity economically. The price tag for a new climate agreement will be a staggering $100 billion a year by 2020, many economists estimate; some put the cost at closer to $1 trillion. Fortunately for the Chinese, the plant qualifies for the UN's Clean Development Mechanism (CDM) by which rich countries offset carbon emissions by paying for carbon cuts in developing ones. Even with $12 million in annual CDM payments, which are paid to the Chinese by guess who, the plant barely breaks even. China realizes that using energy less wastefully will reduce carbon emissions and also save money. To that end, China is talking about generating less carbon per unit of GNP; the United States successfully made similar changes during and after the Carter oil shock many Presidents ago. Unfortunately, keeping their citizens content requires that Chinese GNP grow faster than energy use can be reduced cost-effectively. China's total emissions will go up unless GNP growth is held down by raising energy costs artificially. Holding down economic prosperity would lead to hate and discontent among the Chinese masses so their leadership isn't as eager to do that as ours seems to be. There's a further difficulty - the most effective technologies for reducing energy consumption come from America. 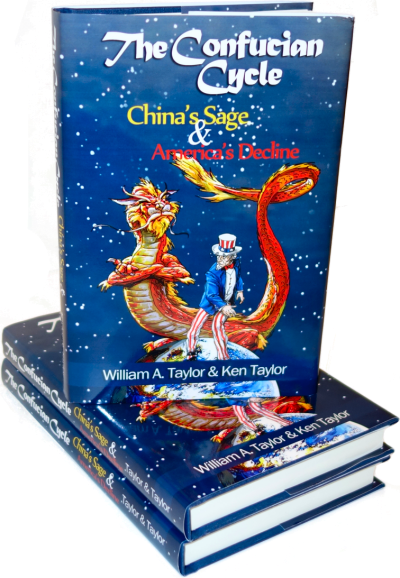 The Chinese are not eager to pay royalties and the Americans are not eager to teach the Chinese how to compete with them in the future. The Chinese claim that America ought to pay much if not most of their costs in reducing carbon emissions, a concept not likely to go down well with American taxpayers who're already struggling with large deficits. Asia Pacific leaders backed away on Saturday from supporting a global halving of greenhouse gas emissions by 2050, even as Brazil pledged deep cuts of its own over the next decade. An initial draft leaders' statement from an Asia Pacific Economic Cooperation (APEC) summit in Singapore had said that "global emissions will need to ... be reduced to 50 percent below 1990 levels by 2050." But a later, watered-down version stated: "We believe that global emissions will need to peak over the next few years, and be substantially reduced by 2050, recognizing that the timeframe for peaking will be longer in developing economies." The world's two biggest carbon emitters who account for 40% of worldwide emissions - China and the United States - are members of APEC; this change to the draft APEC announcement says a great deal about what's likely to happen. Western governments who answer to the voters from time to time are finding that their citizens a) believe that the economy is more important than the environment, at least for now, and b) are beginning to have doubts that what the climate doomsayers are saying is true. Why are we not surprised? Mr. Obama might not mind trillion-dollar deficits, but some of the other national leaders seem to have a bit more sense. We're eagerly waiting for them to tell us the difference between an "agreement" and a less specific "politically binding" agreement. We already know a major part of the outcome - the great and the good will generate huge amounts of carbon at our expense as they fly to beautiful Copenhagen. Given that they've already agreed that they don't have to be specific, they'll produce much hot air and slaughter many trees whilst bloviating about the sacrifices we unimportant people will have to make to Save the Planet. They'll run all over town in low-mileage limos, generating even more emissions while punting all the difficult issues. Sounds like more of the same old-fashioned political junketry at our expense. Whether anything of significance will emerge remains to be seen. We doubt it, but that's a good thing. The more we see of the specifics that true believers in Saving the Planet are demanding, the more we like the idea of punting climate change into the future, the further into the future, the better. Government fiats can't change what people want to spend money on. If people were willing to spend the money to reduce carbon emissions they would, under the good ol' capitalist system the dollar is the most important vote. For example "... if eco-friendly energy could be produced at lower cost than what we're doing now, businesses would already be doing it"
Really? Our economy is ruled by fossil fuel energy giants who have little interest in changing the status quo and have the lobbying power to make it stick. Nothing serious can happen with eco-friendly energy, until we build the infrastructure to support it. But surely, that presents a massive opportunity to put American innovation and sweat to work? Consider balancing your perspective with a look at success stories like Germany or Sweden where sustainable energy platforms (including the use of fossil fuels) are helping to drive their economies in a responsible way. If anything, we should be able to show the world how to do it even better and market, merchandise and profit from the solutions. A very good point Socrates. It is important to see what other countries have attempted and compare their results with our situation to see if they are surpassing us. There is a handy website, Europe's Energy Portal found at http://www.energy.eu/ that lists the euros per kilowatt hour. I found that in Germany the average is 0.253 and in Sweden the average is 0.223. This numbers are as of January 2009. In Wisconsin the average price charged by Madison Gas and Electric is $0.10395 in the winter and $0.09345 in the summer. As found on the website at http://www.mge.com/home/rates/residential_elec.htm. Given that one euro is, at the time of this posting, worth about $1.48 that means that people living in Germany and Sweden pay about three times as much per kilowatt hour as people getting service from Madison Gas and Electric. It appears that 'green energy' is far more expensive than its counter part. I don't know about you but tripling my energy bill would have a noticeable effect on my bank account. Something to note, Madison Gas and Electric mentions on its website that it has been able to reduce how much it charges because of increased use of natural gas. "Electric prices have decreased. This price drop is due to lower natural gas costs for electricity generation. These lower prices have offset MGE's invest to modernize electric generation facilities, improve environmental performance and MGE customers' share of upgrading the regional electric transmission system." It is my understanding that natural gas is far cleaner than coal. So it may indeed be possible to be come greener than we currently are and decrease costs. Greener however is not green enough for many environmentalists. That's a terrifically informative site and kudos for sourcing it. Triple the energy prices may be offset somewhat by cost of living in those countries which tends to be quite a bit higher-and then I believe that there are not the same kind of subsidies we enjoy. I am impressed though by how seriously they are applying renewable solutions to decrease pollution and carbon footprint etc. Thanks for you thoughts on the matter. I am unfortunately incapable of breaking down where the costs come from. The number of employees and of what salary grade are needed to run the generator. Average kilowatt hours produced in a year. Amount and type of pollution created. Then and only then could we really compare the strengths and costs of the various types of energy production. The sooner we all jump on the global-warming-is-humans'-fault bandwagon, the sooner we can all become part of the great Marxist state that is behind the global warming hype. After all, look how much better life is in the Marxist/socialist/communist states now. Can you imagine how much better the world will be when we destroy captialism completely and live the good life. It is useless to resist. The idea that AGW is a bandwagon is hilarious- so long as the bandwagon has a siren and looks like an ambulance. Hype? Look at the science-it ain't no hype. Now, climate-gate, there's hype. But your mention of a global conspiracy sounds a little like you mean it and wow, that's just plain bananas. Anyway, no need to change your mind. Please keep calm and let the professionals do their job. It won't hurt you a bit. Sure there is some hype to climate-gate but I would say it seems like solid evidence that people at the top of the Global Warming science community felt that it was necessary to defame, lie, and destroy evidence in order to win the debate. Does that prove global warming as a man made action is false? No. But it means that all of the evidence needs to be evaluated from scratch. The evidence that I've been seeing from all corners except the IPCC over the last several years seems to indicate that the world is getting colder on average, not warmer. That CO2 would is a very weak warming agent. That the amount of CO2 produced by humans is dwarfed by the amount produced naturally. Clean air? Sounds good to me, lets work towards that. Lets not destroy our economy in the process. Real science tells us that man is helpless against nature. Examples are that significant increases in CO2 in the atmosphere will spur increased plant usage of that gas, releasing O2 and sequestering carbon within the plant structure. Another example that the enviroids refuse to acknowledge is the fact that the atmosphere of Mars is also warming. Even Algore cannot explain this because there (last I knew) are no SUVs, heavy industry, or CO2-belching humans to sully the "air" on Mars. Could the Sun possibly be in one of its regular phases of higher energy radiation which is being seized upon as a great way to stoke the global warming discussion as being predominantly man's fault. When scientists have an agenda, they are no longer scientists. Socrates, you should know that. Scientists used to insist that the world was flat, and the Earth was the center of the universe, too. Ruskie? No - Norwegian/German. Second generation American, slightly to the right of center, scientist by training, Christian by sensibility and right, politically disgusted by exposure to our parties. I have changed my mind many times, as verifiable data becomes available. I became less impressed with the global warming necromancers as I found out some of these new data. My mind is still open. I have access to many school children with whom I converse and help to undo this pseudo science. I have an ever-growing mass of colleagues doing the same. We have veracity on our side. Time, too. Jonyfries - right on! My slightly-to-the-right-of-Atilla father taught his children to respect and care for the planet. We were economizing and recycling before it was even being discussed. Politically motivated artificial constructs such as carbon credits and its attendant malarky will not affect the atmosphere - just weaken or even destroy economies. Socrates said: Please keep calm and let the professionals do their job. It won't hurt you a bit. Part of the problems we are facing is our willingness to do just that - let the "professionals do their job(s)". We elect "leaders" who are nothing of the kind. They are not even supposed to be "leaders". They are supposed to be representatives - servants. This probably belongs in a different thread, so I will close for now. Suffice it to say we must work against these pseudo leaders or it will hurt a great deal.